Croatia has revealed its pavilion at the 16th Venice Architecture Biennale filled with delicate digital clouds. 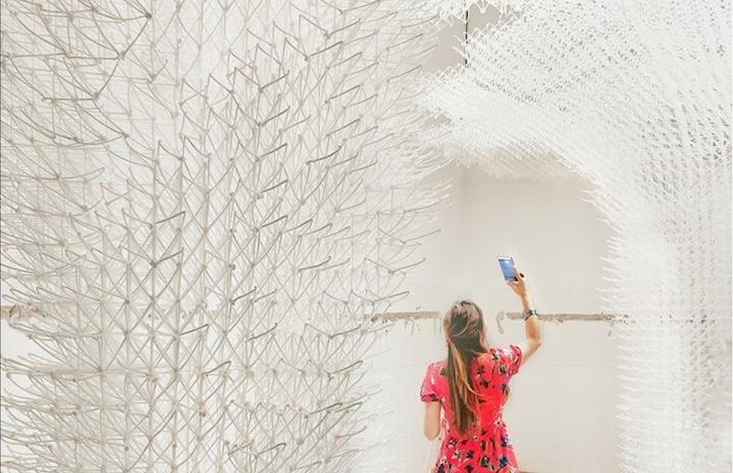 Created by curator Bruno Juričić and artist Alisa Andrašek, the installation transforms digital captures of real-life cloud formations into swirling 3D-printed pillars. The work was created using 300 kilograms of biodegradable plastic, was made entirely by robots and is over 3 metres high. It has already been hailed as one of the world’s largest and most complex 3D-printed structures. The pavilion will also exhibit To Still the Eye by Vlatka Horvat — a series of drawings made by bare feet sliding across paper — and a sound installation by artist Maja Kuzmanović. All of the works will appear at global exhibitions after the biennale closes on 25 November.